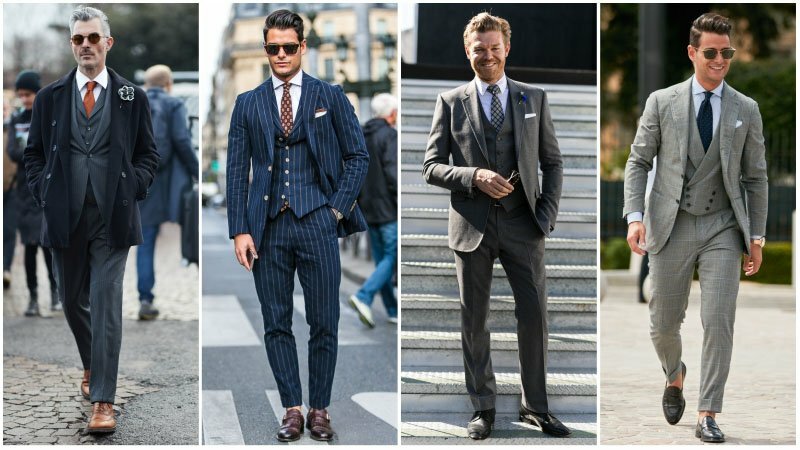 It may not be something you’ll wear every day, but a three piece suit is a worthwhile investment for your wardrobe. After all, nothing projects polish and style quite like a three piece suit. 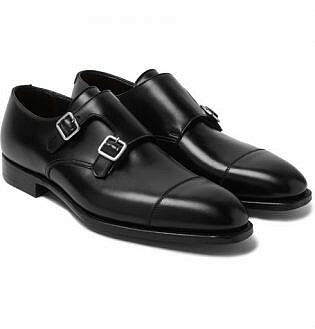 Perfect for dapper gents, this traditional menswear option is classically smart while also being currently on-trend. So, if you’re looking to up your suiting game, there’s no better choice. 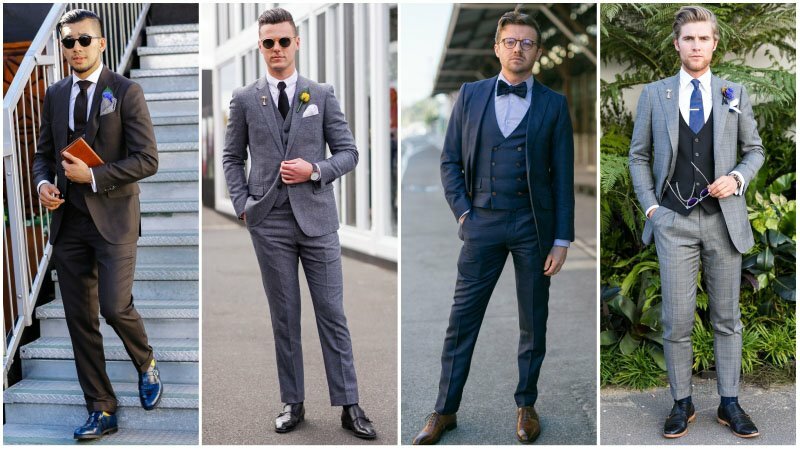 Best of all, it just takes the right fit, colour and styling to look damn good in this gentlemanly outfit, and we have advice on all three. 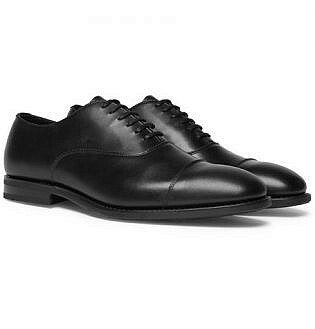 So, if you’re ready to suit up with style and sophistication, simply read on. 1 What is a Three Piece Suit? 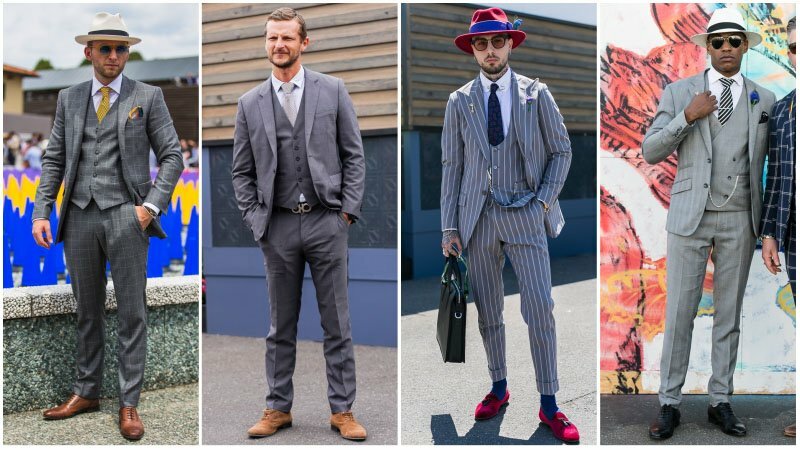 What is a Three Piece Suit? 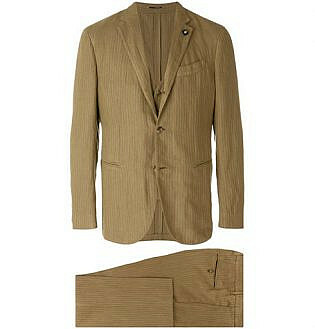 As its name suggests, a three piece suit includes three pieces: a jacket, pants and a waistcoat. As such, it is a dressier alternative to standard two-piece designs. 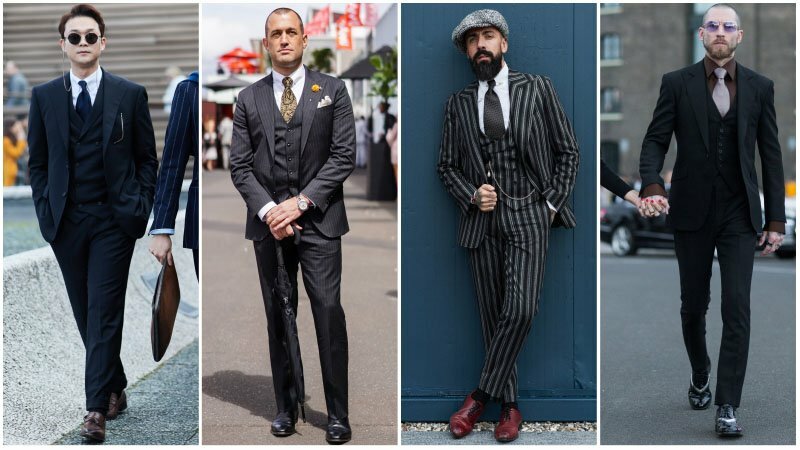 When choosing a three piece suit, you have the option of either a matching waistcoat or one that provides contrast. No matter which you select, it’s essential to get the fit of your suit right. 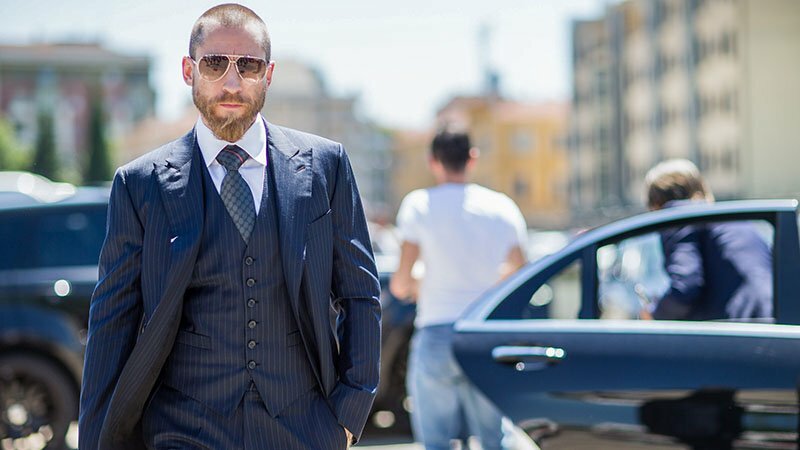 To do so, ensure it is well-tailored with the waistcoat fitting close to the body and the jacket roomy enough to easily button up over the top. Also, note that your waistcoat should cover the waistband of your pants without extending too far below. 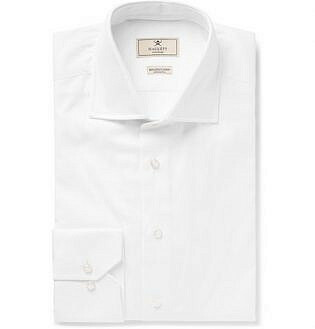 Due to their sophisticated appearance, three piece suits are often reserved for formal dress codes. To wear a three piece suit for a formal occasion, such as a wedding or the races, choose a well-fitting design in a classic colour. 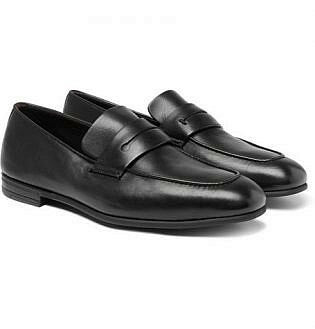 Black makes an especially good choice for evening functions while grey and navy hues are better suited to events taking place during the day. 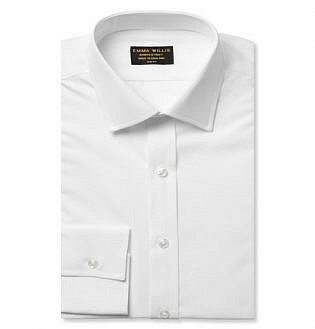 To complete your formal, three piece look, add a smart dress shirt and a sleek tie or bow tie. Do you want to enhance your business wardrobe? A three piece suit could be the answer. While these suits can often appear too sophisticated for casual office environments, they can be ideal for formal offices as well as important business meetings and corporate events. The trick to pulling off the look is to keep it work-appropriate. To do so, avoid bold colours and loud accessories. 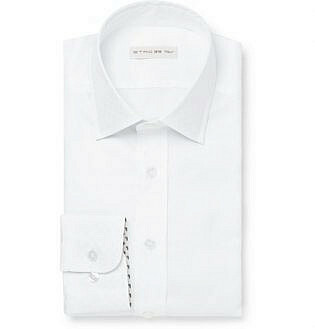 Instead, choose a grey or navy suit and partner it with a basic oxford shirt in white or pale blue. 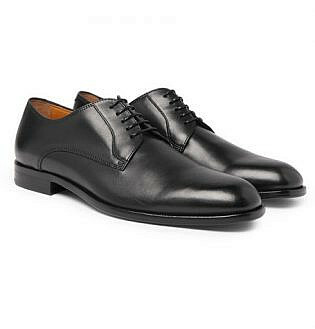 Then, complete your look with a smart and subtle pair of leather oxford or derby shoes and a conservatively patterned tie. 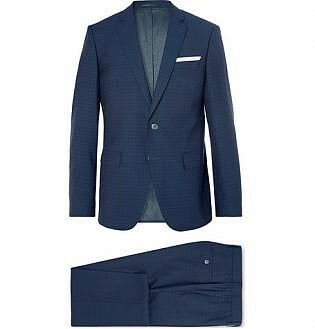 If you’re looking to purchase your first three piece suit, navy makes an excellent option. 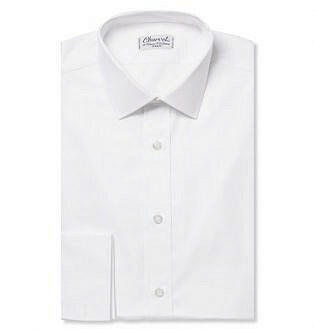 This versatile and classic colour appears clean, smart and flattering on almost any skin tone. 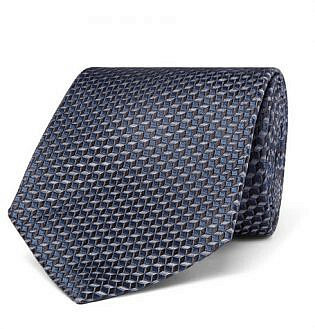 Opt for a plain navy design if you plan to wear it for formal and business occasions. 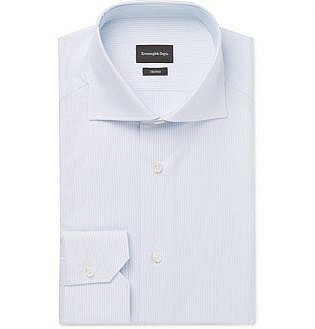 Or, select something more creative, such as a bold check or contrast stripe, for less conservative settings. 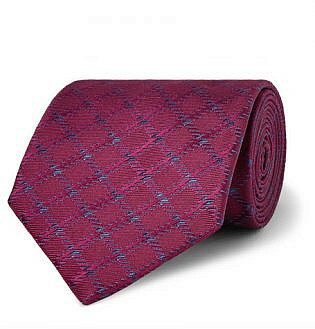 To style your navy three piece suit, try adding a white shirt and burgundy tie. 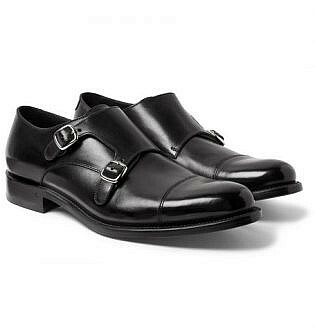 Then, finish the look with footwear that blends sophistication and style, such as a polished pair of monk strap shoes. 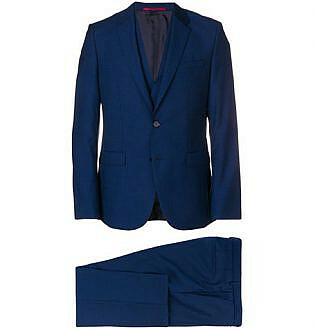 Choosing a blue hue is a great way to add a little fun and freshness to your smart three piece style. To nail the look, be sure to select the right shade for your needs. While light and washed-out blues are perfect for daytime events during the warmer months, a bright blue tone, such as a midnight blue, is better suited to evening functions. 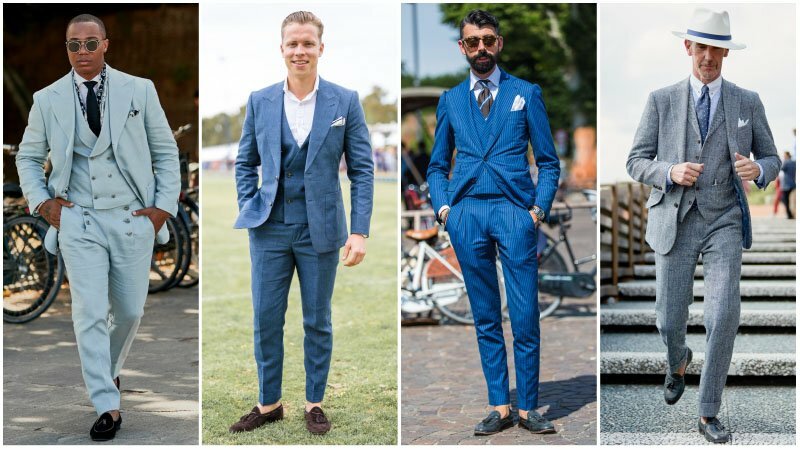 To play up the contemporary style of a blue three piece suit, add relaxed yet smart footwear, such as a pair of loafers. 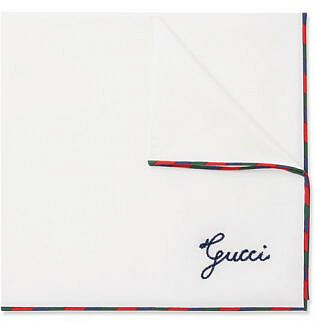 You can also consider going sans tie and donning a pocket square to keep your look laid-back yet luxurious. 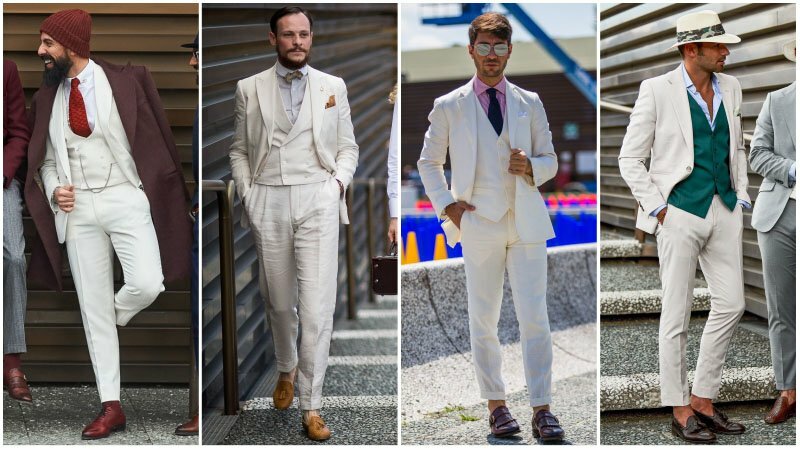 A white three piece suit is a bold and uniquely stylish choice. As such, it can require a man with plenty of confidence to successfully pull it off. But, if that sounds like you, you should be sure to give this look a try. After all, going colourless can be quite the statement. 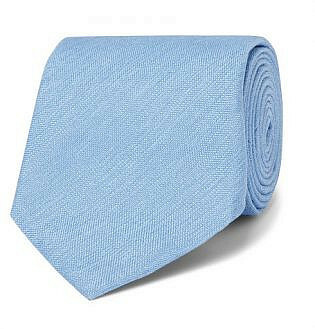 To rock the look without appearing bland, add some subtle colour, such as a pale blue shirt, patterned tie and brown shoes. 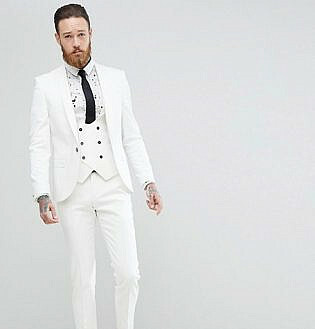 Alternatively, consider opting for a white suit with a contrasting coloured waistcoat. But, if you do so, remember to keep the rest of your look simple. 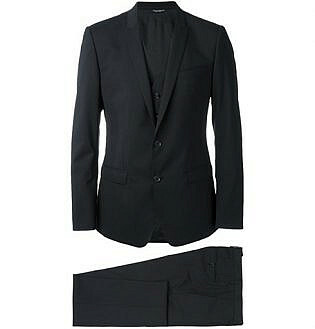 Thanks to its dark colour and sophisticated style, a black three piece suit appears particularly polished and elegant. 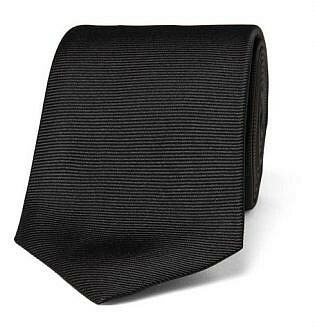 Therefore, it makes an excellent option for formal functions and events. 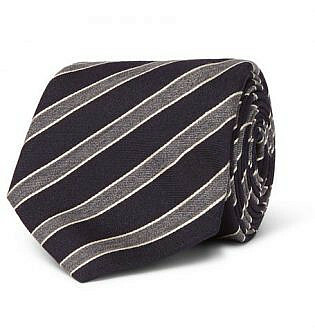 Add one to your wardrobe to have on hand for weddings, awards nights, charity dinners and more. When it comes time to don your inky three-piece, keep the rest of your look sleek and free from loud colours or embellishments. Also, ensure your black waistcoat matches your suit for a smart and coordinated appearance. 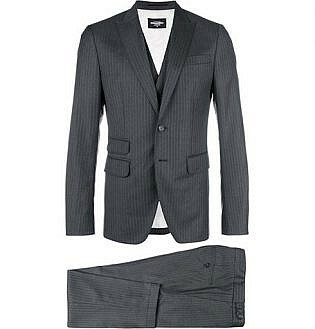 When choosing a grey three piece suit, one of the most critical considerations is tone. 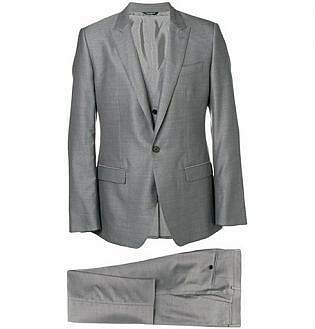 Grey suits can vary drastically in their hues, so finding the shade that’s right for you is essential. Also, once you’ve selected your shade, you’ll need to decide between a solid and patterned design. While plain grey is a timeless choice, even a subtle pattern can add a lot of excitement to your look. Just remember, to ensure the rest of your outfit doesn’t appear too intense, keep things neutral. 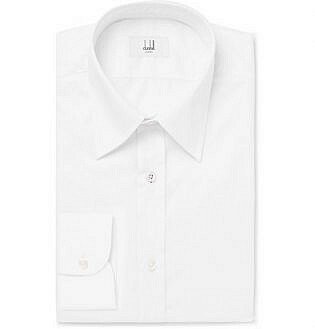 Try a white shirt for formal occasions and a pink or blue shirt for more relaxed settings. 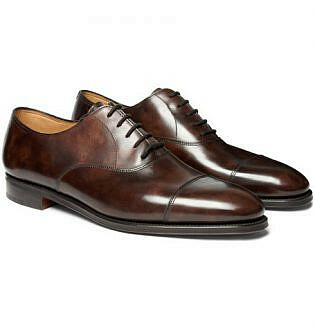 As for footwear, brown shoes will add an easygoing elegance to your ensemble while black will dress it up. 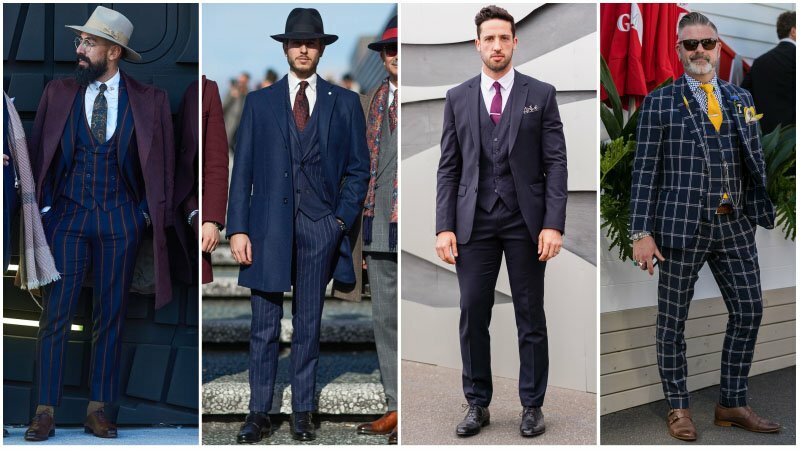 Donning a three piece suit doesn’t mean you have to look like you’re in a period drama. 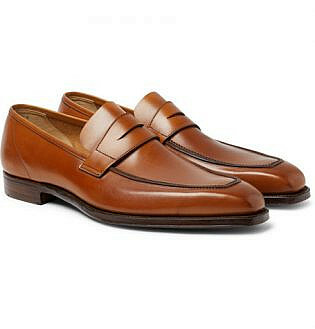 To rock the look with an on-trend flair, try opting for a brown style. 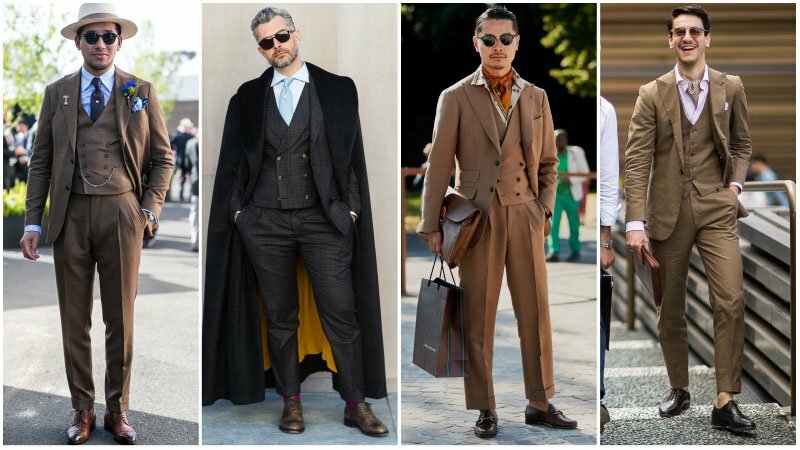 Brown suits have been popping up on catwalks and in street style shots for a few seasons now and look fantastic in three piece designs. 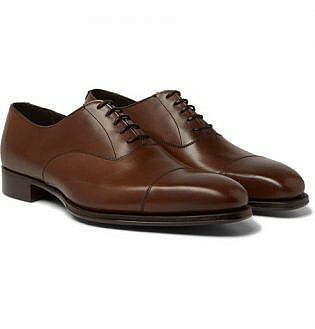 For a cool take on the look, try opting for a light brown three piece suit paired with a white shirt, baby blue tie and dark brown How to Wear Oxford Shoes for Menoxford shoes. 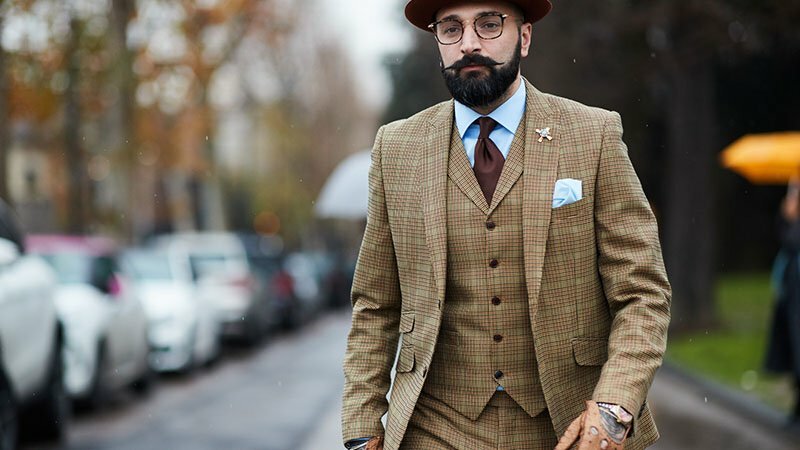 Make sure your three piece suit fits well and that you can comfortably do up your jacket over your waistcoat. 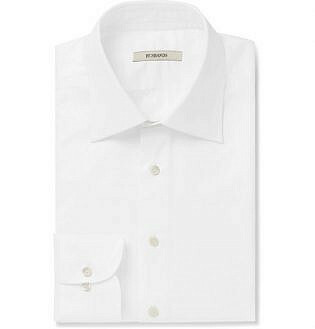 Keep your shirt simple to ensure it doesn’t compete with your three piece suit for attention. 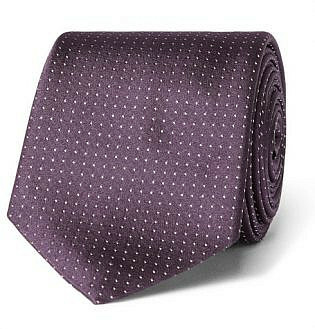 Pair your three piece suit with smart accessories, such as a tie, pocket square and dress shoes. 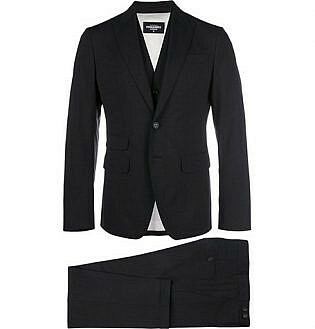 To wear a three piece suit for a formal occasion, stick to classic colours and ensure the fit is excellent. To wear a three piece suit to work, keep your look smart with a navy or grey style and business accents, such as a subtle pinstripe or traditionally patterned tie.